Presentations from the March 2019 Technical Meeting held March 29, 2019 in Sanford are available to AWRA Florida members here. 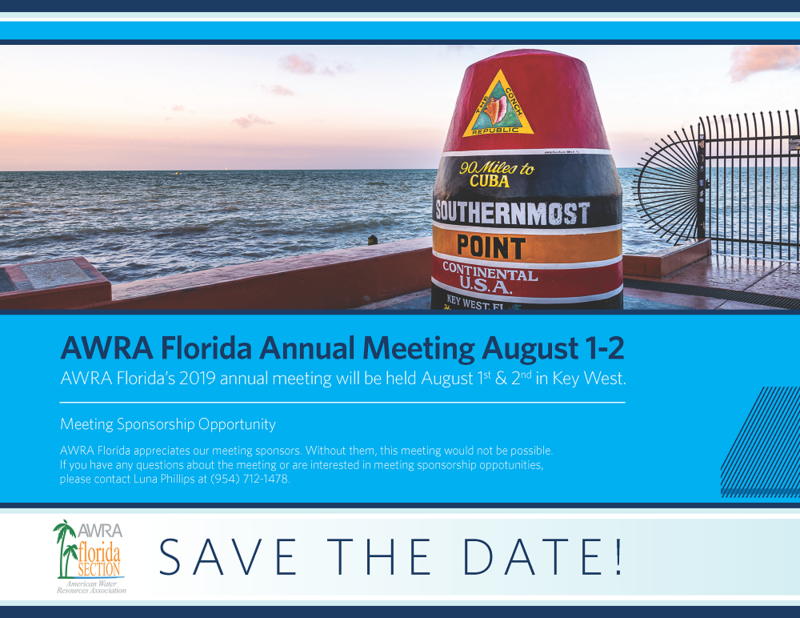 Presentations from the 28th Annual Southwest Florida Water Resources Conference held January 25, 2019 in Fort Myers are available to AWRA Florida members here. Broward County will be hosting a Green Stormwater Infrastructure Workshop on January 30, 2019 in Fort Lauderdale. Contact Ana Carolina Coelho Maran for more information. Presentations from the November 2018 Technical Meeting held November 30, 2018 in Tallahassee are available to AWRA Florida members here. Presentations from the September 2018 Technical Meeting held September 28, 2018 in Okeechobee are available to AWRA Florida members here.